BAC, the maker of the single-seat Mono track car, has dropped hints on some of its future plans. In an interview with Wilton Classic & Supercar, brothers Ian and Neill Briggs, the brains behind BAC, said the company was looking at entering the hypercar arena with a new model within the next five years. This won’t be a punishing track car like the Mono but a more mature design with an enclosed cabin housing two seats. The enclosed design was chosen so that the car can be used in poor weather. The brothers are also looking at using hybrid technology. The brothers are still working on the requirements and are liaising with existing Mono owners, many of whom own current hypercars like the McLaren P1 and Porsche 918 Spyder. When asked whether BAC was worried about cars like the upcoming Aston Martin AM-RB 001 and Mercedes-AMG Project One outperforming their design, the brothers were unfazed. One edge BAC might have is construction using extremely light and strong graphene. 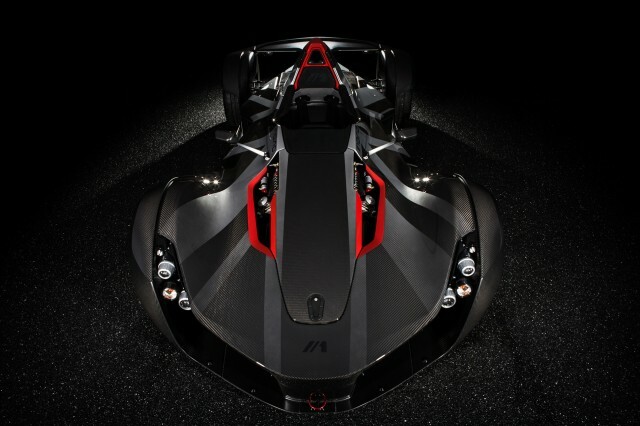 The company recently showed off a Mono prototype that featured body panels made from the stuff (shown above). Beyond the hypercar, BAC plans to continue refining the Mono and is also looking at developing an electric version of its track car.